Memphis man Whitlock had a long history of involvement in his hometown before joining Derek & the Dominoes and contributing his songwriting talents to six songs on that set. 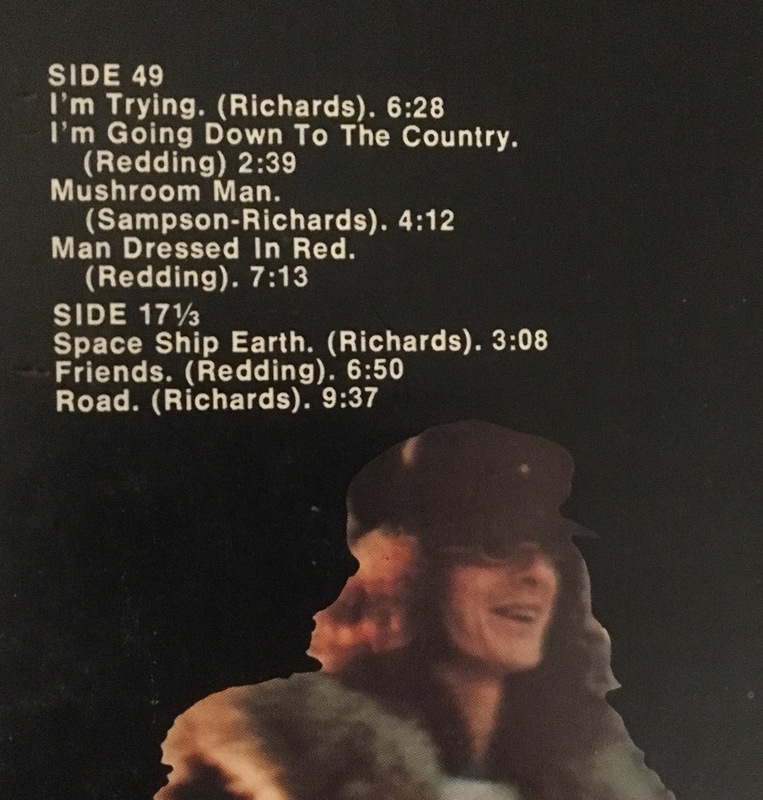 While the band on this solo album remains uncredited on the sleeve, this set is sometimes referred to as the last Derek & the Dominoes album as all members (except perhaps Allman) play on this record. While that tag is often used to promote this album, I’d say the comment is misleading. 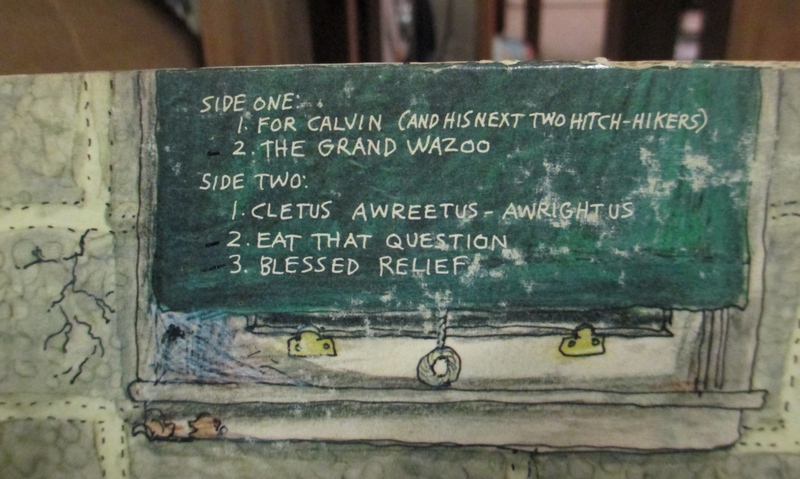 This is clearly Whitlock’s album. Whitlock writes or cowrites the entire set (only sharing credits on two cuts, one with Don Nix, the other with Bonnie Bramlett), and this set is actually better than the overhyped and overblown sound of Derek & the Dominoes. While some buyers might be brought to this set because Clapton plays on it, this album is better than any of Clapton’s albums. Bands such as the Allman Brothers and The Band might be influences, but it could be that all three bands were simply influenced by similar sources. 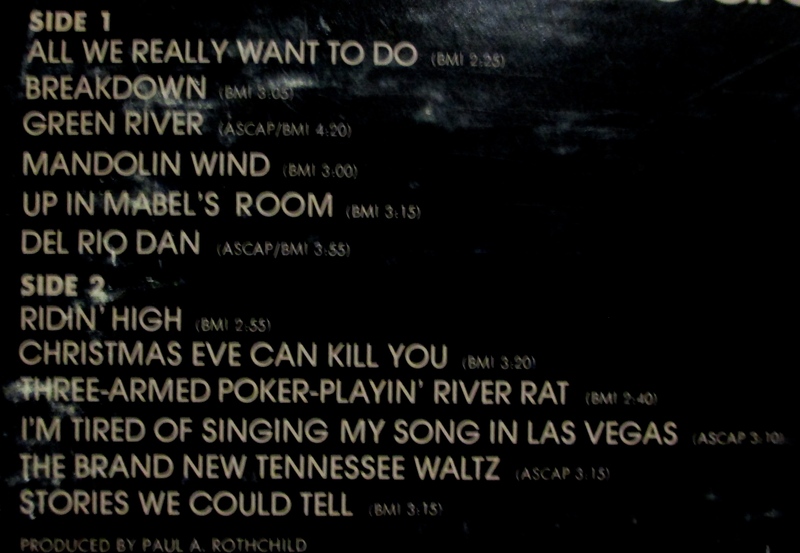 And unlike albums by those other two bands, this clearly comes from Tennessee, with all the sounds of that state coming through various cuts. The sounds clearly came from the past but also influenced bands down the road, were part of a bridge from the dirt roads of the South to the paths that bands would follow in the decades to come. A sameness runs through the cuts on this album, something that some fans might find boring and uneventful, but the sameness is actually one of the main reasons this set is so strong. While the band stretches out, they never go too far into show-off excesses or try too hard like Traffic at this time, or like on some of Auger’s other material. And this material is not boring like some of his sets. The instrumental bridges push almost into a jam sound as usual, but they flow forward in a groove that owes more to funk than progressive rock. While this band was lacking in the vocal department after losing Julie Driscoll, Ligertwood finally fills the void, with his voice fitting the sound quite well. Most members assist with the writing, and with the contributions of new members Alex Ligertwood (vocals) and Jim Mullen (guitar), the set has a cohesive sound. The sound clearly owes much to the past, with influences perhaps coming from the Allman Brothers as well as San Francisco funk. Of course, it’s not gritty like those sources, and the sound looks forward as much as it looks back. It continues to fuse rock, jazz, and R&B, and is clearly from the early 70s, but it also foreshadows the direction many artists would take years later. It likely had an influence on many progressive-rock musicians, folks such as Steve Winwood and Peter Gabriel. The music doesn’t sound like Gabriel’s solo work, but it perhaps gave folks like Gabriel some alternative to just continuing in the stereotypical progressive-rock mode. 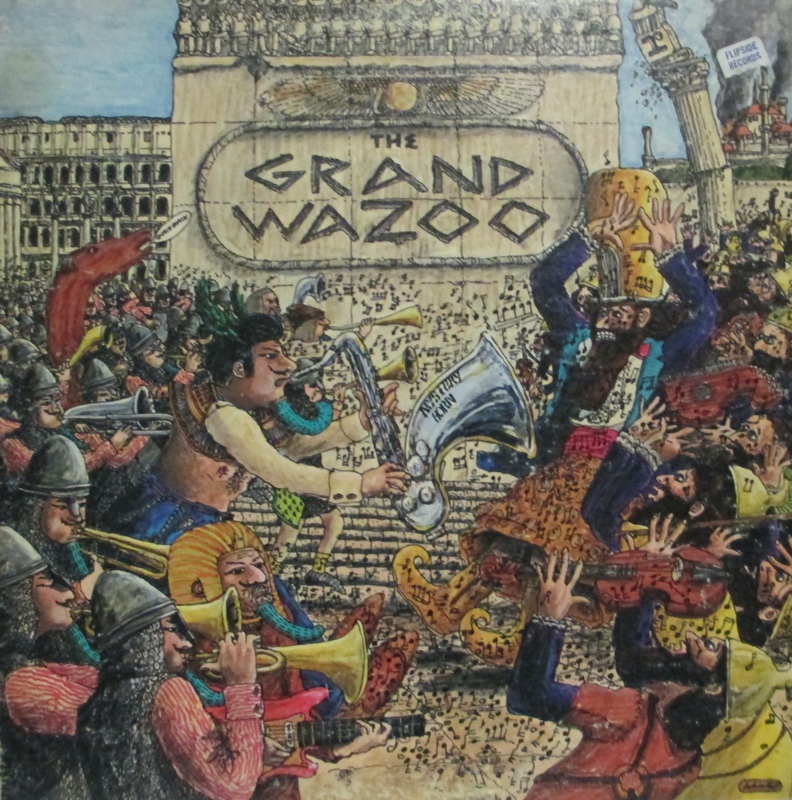 The album is likely more of a pleasant surprise for fans of early 70s R&B than fans of progressive rock.It’s not a funk album, but it’s closer to Oakland than most albums from Great Britain at this point, and it might have provided ideas and inspiration to funk groups such as the Average White Band from Scotland. It’s not bad for a group of white guys from England. 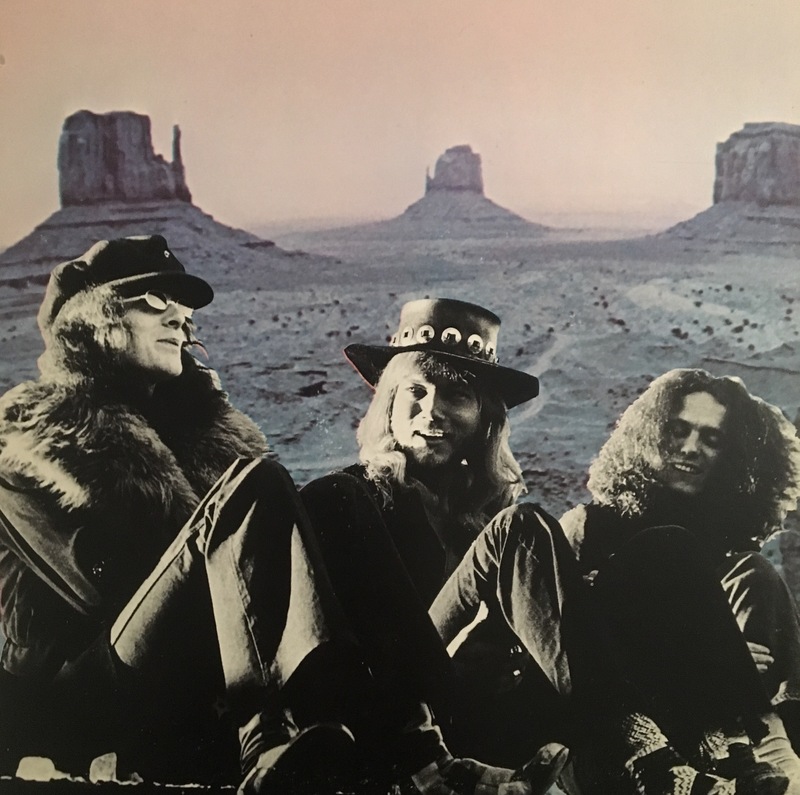 Before splitting for solo careers, the Brothers recorded two sets in the early ’70s, the Chet Atkins-produced 1973 Nashville album Pass the Chicken and Listen and this set from 1972. 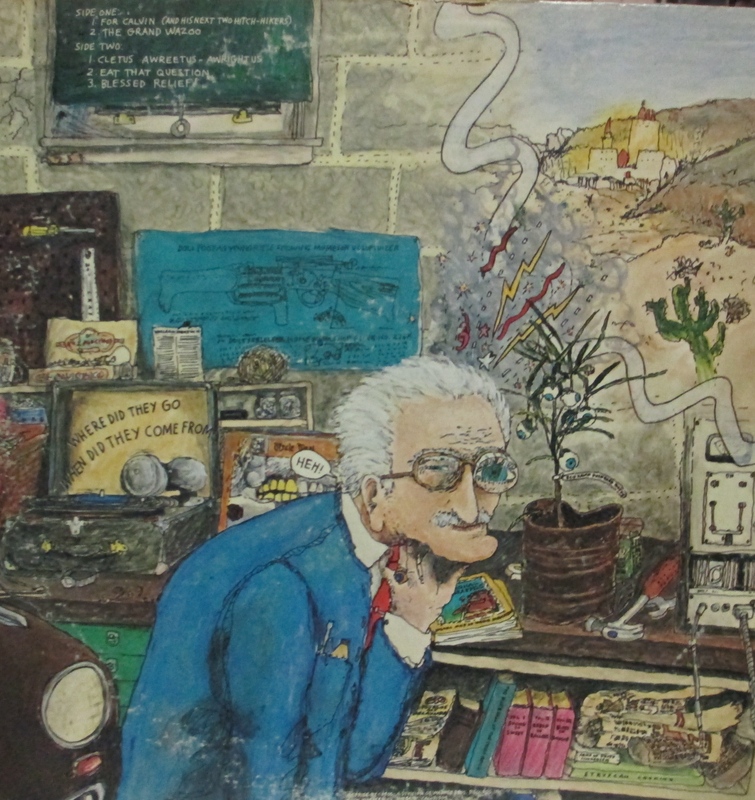 Recorded in John Sebastian’s living room, this featured some of the countless artists the Brothers had influenced (Delaney Bramlett, Clarence White, Ry Cooder, Warren Zevon, David Crosby, Graham Nash, Chris Etheridge and many others). 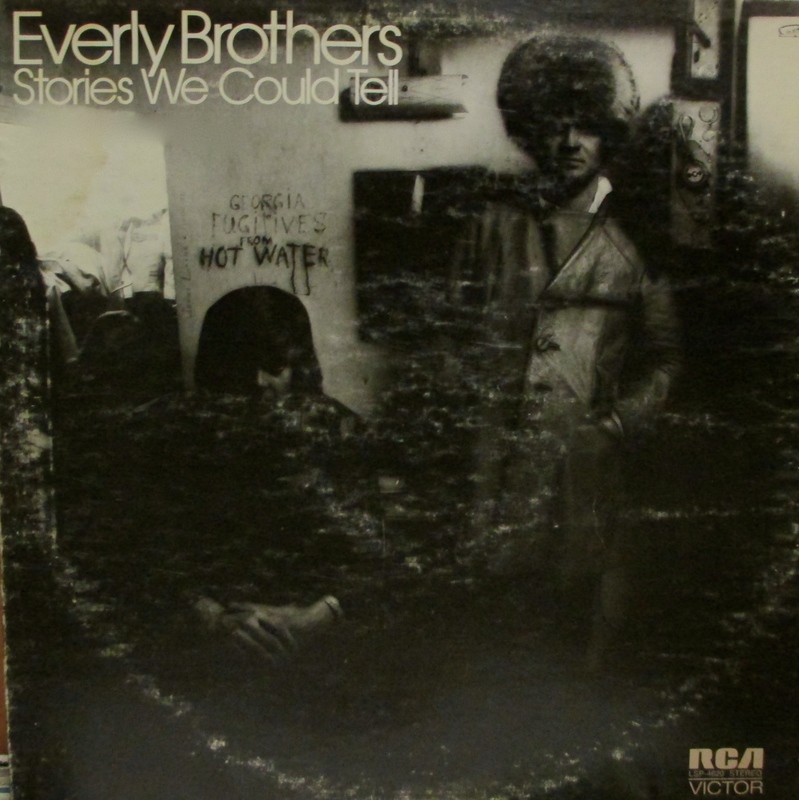 This starts with a Bramlett song that sounds too much like the inferior folk rock from this era (which of course the Brothers played a big part in creating). Fortunately, the set improves as it progresses. 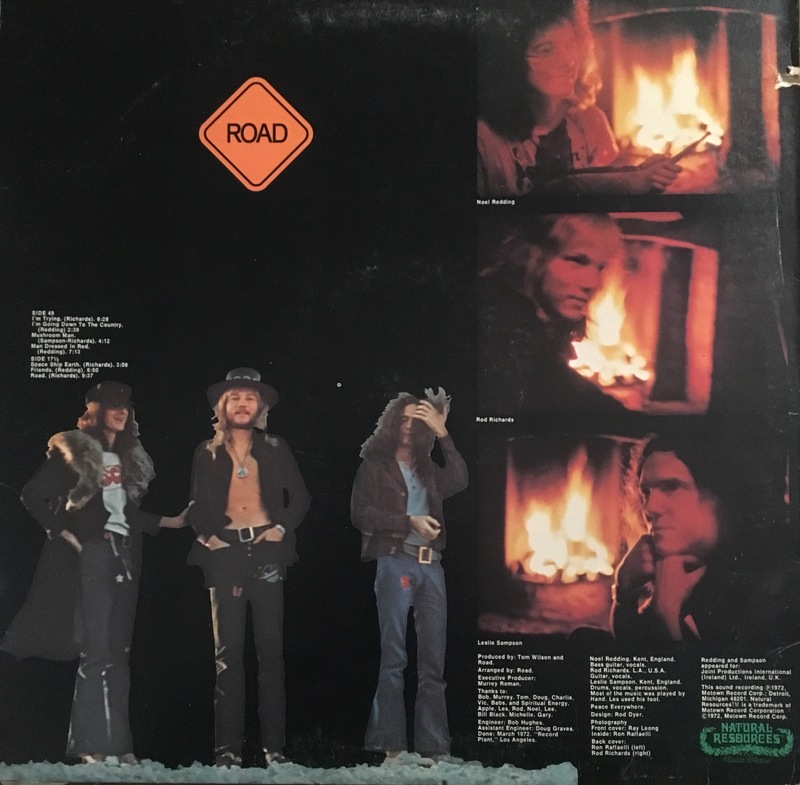 The set features two Everly originals, as well as versions of Rod Stewart’s “Mandolin Wind” and Jesse Winchester’s “The Brand New Tennessee Waltz.” While the straight-forward country of their final album was more enjoyable, this still has plenty of charm. 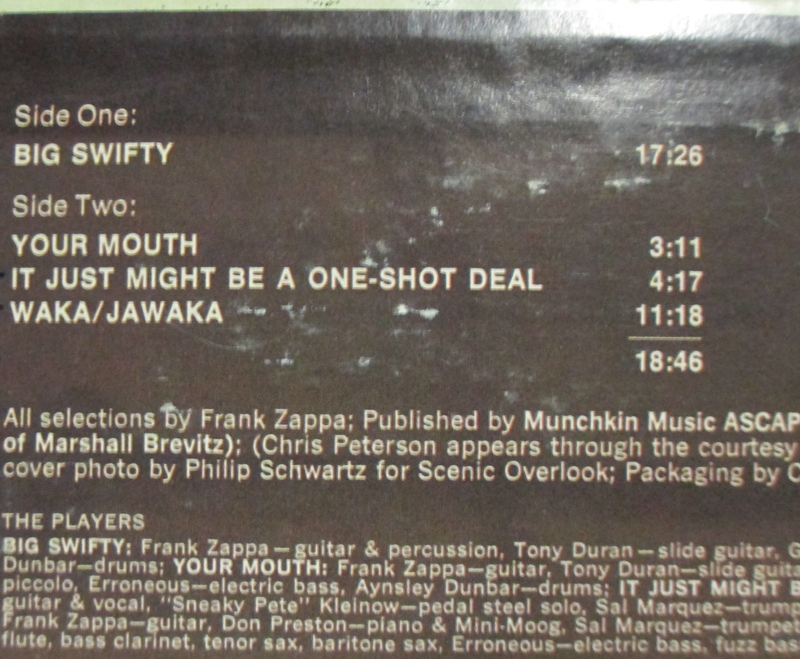 Never one to settle into formula, Zappa offers two medium-sized vocal cuts sandwiched by two extended fusion jams, the 11+ minute title track and the side-long “Big Swifty,” the former clearly coming out of the early 70s but featuring plenty of guitar and a mix of planning and improvisation, the latter fortunately coming out of the 60s’ version of fusion, the guitar recalling Larry Coryell’s groundbreaking work of the late 60s, this cut sounding like mostly improvisation, Zappa and his guitar conversing with the horns. It’s all a bit excessive, but a worthwhile listen for fans of jazz fusion jams. 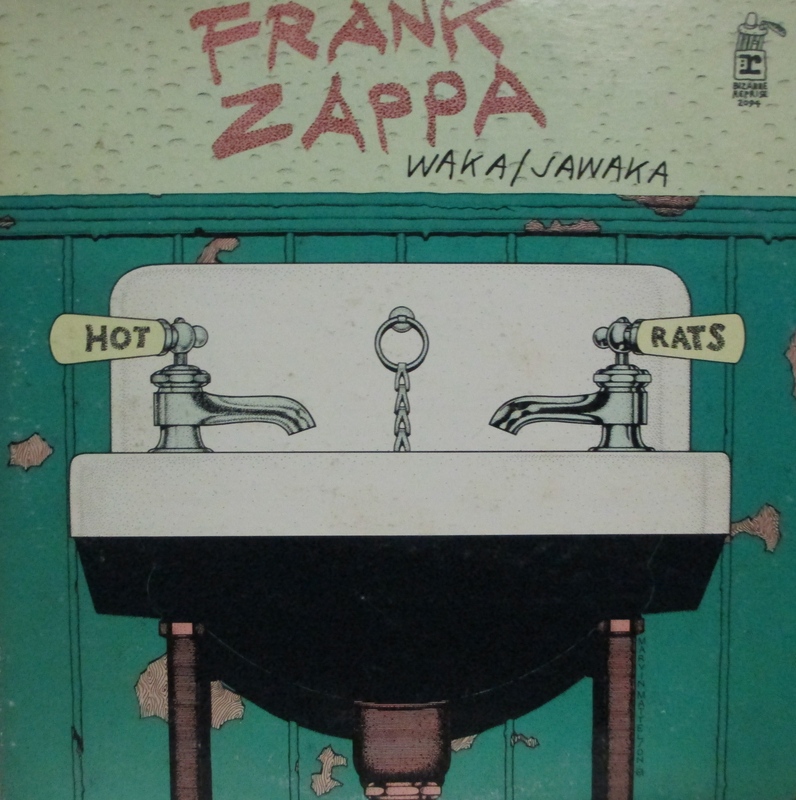 Continuing where Waka / Jawaka left off, this set from Zappa and the gang is mostly instrumental, featuring Frank’s own unique take on fusion. 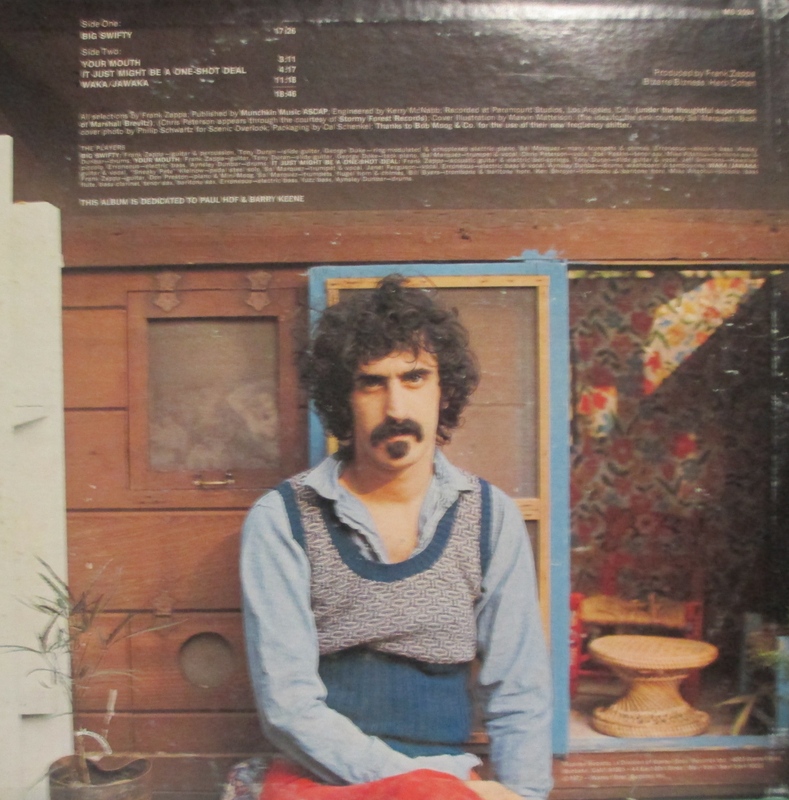 Certainly not essential Zappa but this includes some interesting cuts. At a time when the Santana machine was starting to putter, this band hit the streets with all cylinders firing. The Santana comparisons were inevitable and there’s plenty here to justify the comparisons, including the fact that lead guitarist Jorge Santana often sounded a lot like his brother, but while the guitar licks are sometimes a dominant part of the sound, and occasionally excessive, this band knew when to cut it out, and even the guitar is an integral part of the groove. Also, this band clearly had its own horn-driven sound. This is as much an extension of the music of El Chicano as it is an extension of Santana’s sound. You can also hear a bridge between two places, Latin America and the Bay Area, picking up influences from East LA along the way. 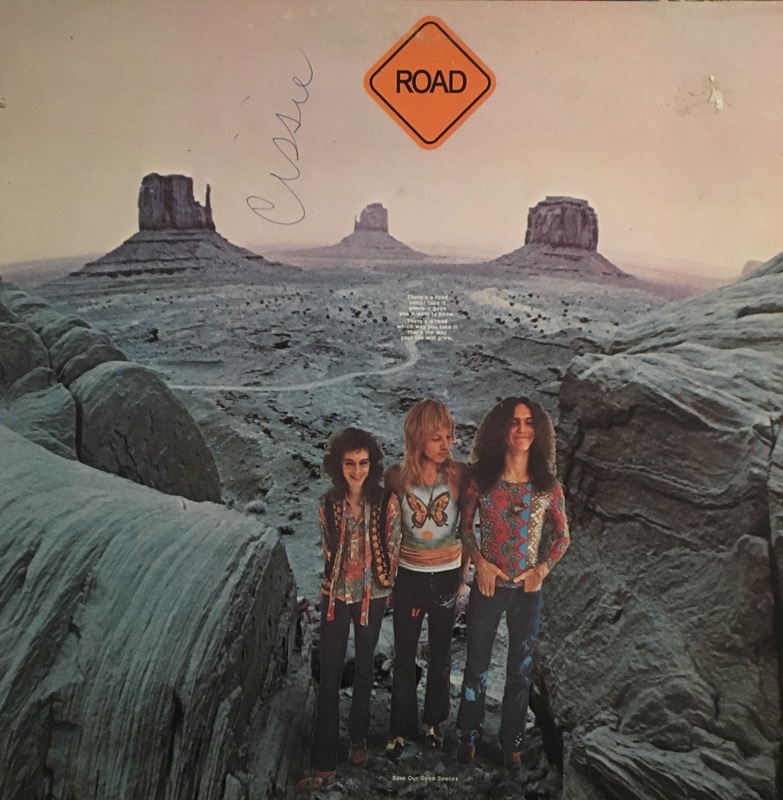 The hard-driving cuts are contrasted with some laid back numbers, and besides the Frisco rock and Oakland funk elements, occasionally hints of a War influence show. Beyond the comparisons, this band offers a sound all its own. While they perhaps don’t deliver any cuts that fit into the classic category, there’s more than enough to make this a highly recommended debut album. They deliver plenty of variety and fuse a lot of styles, but manage to create a tight sound and a cohesive set, and they keep it going strong through both sides.